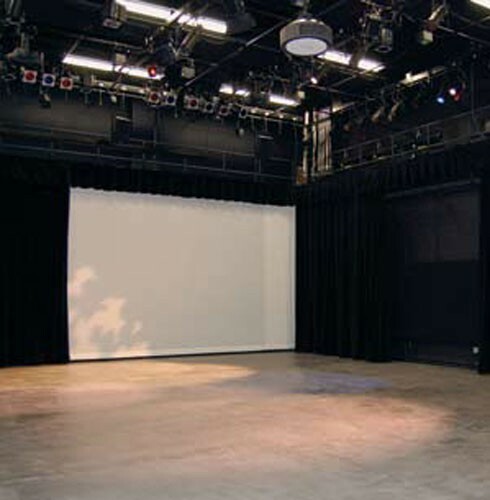 The Blackbox Theatre at our Metro campus offers an intimate space for avant-garde, intimate performances with a full array of lighting and sound options. 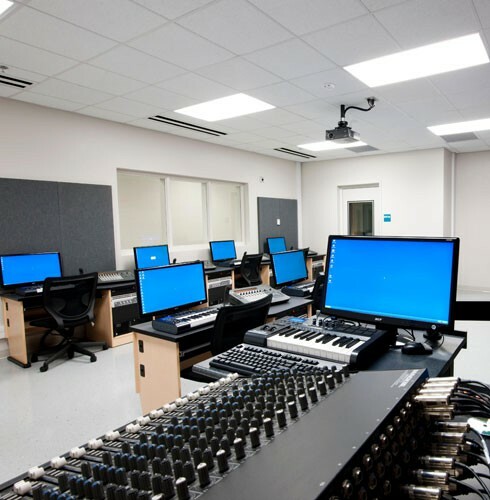 PC Lab: A twelve station Windows-based Pro Tools training environment in which students are trained to use the Digidesign Command 8 control surface, Steinberg’s Wavelab, and have the luxury of recording talent directly from the built-in isolation booth. 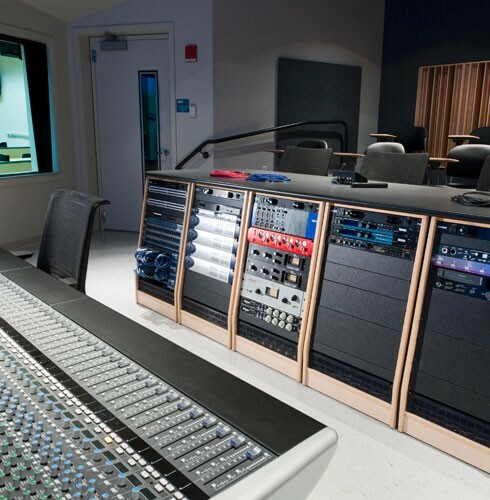 Studio A: This Walters-Storyk designed control room and recording studio boasts an impressive selection of outboard gear, thirty-two I/O of Pro Tools HD interfaces, and three choices of loudspeaker monitoring. 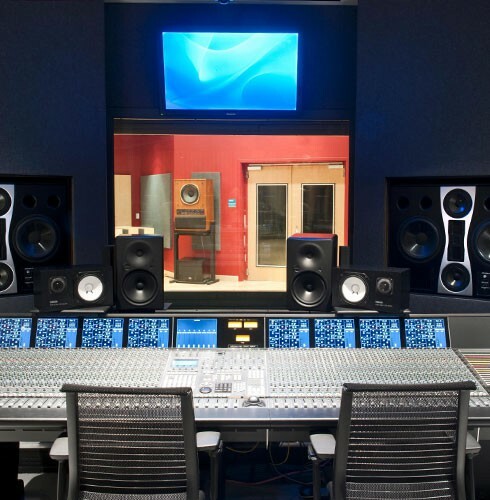 Studio A: The 48 channel SSL Duality combines classic analogue sound with Digital Audio Workstation control. 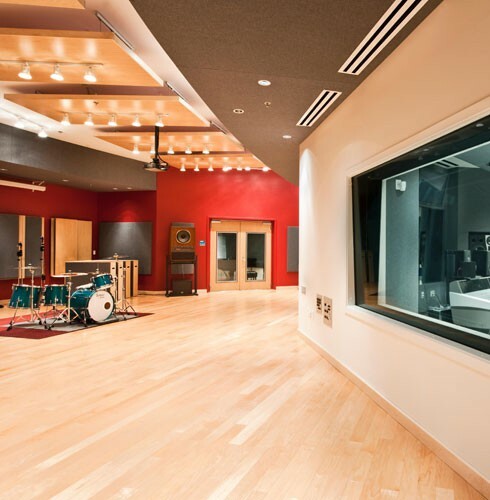 Studio A: is one of the finest recording studios in the world, and it is here at Tri-C’s Center for Creative Arts. 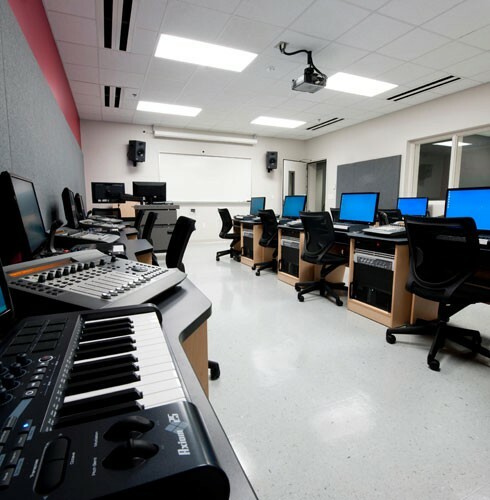 The use of Steinway pianos, large ensemble recording and rehearsal rooms, and all the necessary staff to use them successfully are hallmarks of the Tri-C programs. Dance facilities that include dressing rooms, a barre, adequate lighting and flooring, and a plethora of master classes from visiting artists can benefit students from elementary school to adult.